I first heard about Nutmeg Investments after seeing an advert for it recently on the tube. I work in the financial industry, so it’s always intriguing to hear about new products and see what they are all about. I’ve always had a passing interest in finance. If I could relive my youth, I’d have chosen to go into the financial sector far earlier than I did. However, even as someone who now has over a decade of finance work behind him, I’m still wary of the areas of finance I don’t deal with directly. Ask me about pensions, loans, current account - even (dare I say it?) PPI - and I can happily witter away for ages. When it comes to stocks and shares, however, I don’t know a great deal. Certainly not enough to commit much money to. That’s where Nutmeg comes in. An easy explanation is taken from the Nutmeg website. Nutmeg are, in their own words, the UK’s first online discretionary online investment management company. They claim to do away with a lot of the negative points of investing and wealth management. In other words, they don’t charge high fees, there are no sneaky charges. There’s no hiding where you’re invested or how your funds are performing. 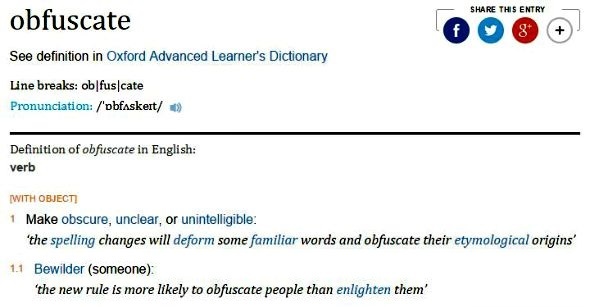 They also claim that they “don’t obfuscate with jargon”, which, in my opinion, is a sentence in itself that obfuscates. I looked it up so that you don’t have to! Nutmeg use your information to build and manage a portfolio for you. In order to keep your risk as low as possible, they diversify your investments so that they are spread out. They have an experienced investment team which monitors your portfolio and adjusts the asset allocation appropriately, rebalancing every month, which again mitigates risk and supposedly keeps your investments safer, and this is done at no extra cost. In this way, they aim to produce their best return, at low cost, for the risk level you choose. Another easy explanation is taken from the Nutmeg website. So what do they offer? Well, the main investments can be seen on their website. You can view the ISAs offered by Nutmeg and see the Nutmeg Personal Pensions. There are minimum investment levels, which are £1,000 for each fund you create, For portfolios below £5,000, a minimum monthly contribution of £50 is also needed. The Nutmeg pension has a minimum investment of £5,000. There is no minimum investment period, so you can get to your money as and when you need to. It should be noted that investing is a long-term strategy, though, so bear that in mind. A quick comparison chart is taken from the Nutmeg website. Nutmeg provides an easy platform for investing and is ideal for ease of use. Nutmeg themselves admit that you could probably replicate their portfolios on your own, but they point out that rebalancing and monitoring your portfolio could result in high trading charges, not to mention time and hassle. Plus, Nutmeg can make trades in bulk across clients, so their costs are even lower. Whilst on the subject of fees, if you have less than £25,000 invested with Nutmeg, you can expect to pay 1% as an annual management fee which is calculated according to the total value of your portfolio (also known as your Assets Under Management, or AUM.) Although the fee starts at 1%, the more you invest, the lower it goes - as low as 0.3%. The annual fees work on a sliding scale. Charges for cash withdrawals only apply if you want your money faster than usual. The professional discretionary investment management, monthly rebalancing, reports and support are all included in the AUM. As for safety, they use Pershing Securities Limited as their custodian bank to hold your money. It’s a part of BNY (Bank of New York) Mellon, the world’s largest custodian with £16 trillion in assets under custody. Nutmeg are also covered by the FSCS - The Financial Services Compensation Scheme, which means you may be entitled to compensation if they cannot meet their obligations. This only covers you up to £85,000 per person, per firm. Signing up and getting started takes only 10 minutes. Before entering into any arrangements, you should do your homework and make sure that you are happy to invest your money and that you are aware of the risks involved! Lastly, a couple of other things to bear in mind here. Firstly, you can get Quidco (get £5 for joining up to Quidco) or join up to TopCashback for cashback on this. Secondly, if you’re looking at stocks and shares, your money can go down as well as up. This post is not a recommendation for the services advertised. Plan your retirement. Retire savvy! My money that I invested via nutmeg just keeps going down & I asked for low to medium risk. I can’t find any independent posts by people who have received positive gains. Hi,well after reading loads of reviews and comments about various investment opportunities , I have decided to dip my tow in the water and give Nutmeg ago with a. quite large investment ISA . I have just completed the transfer paperwork and will simply see how it goes. My wife and I have just retired this last month,I sold my business, and my wife retired from education sector. We asked for a chat to discuss our financial situation with two financial advisers and we were shocked at the fees they wanted for investing our moneys for us ,both around £7k plus a considerable % on top per year for management fees depending on the level of management we required. It took an age to get and actual amount from them ,apparently charge(fees) all depended on their involvement . We had to choose the amount of risk we wanted ,the mount we were willing to invest ,the moneys were invested for us. Isn’t this exactly what Nutmeg have offered for free? IFAs definitely provide a decent service. After all, if you take advice from a qualified IFA (and they are covered by the Financial Services Compensation Scheme) you have a level of protection that you may not get via Nutmeg. I wish you the best of luck with your investment though! Great review Danny! 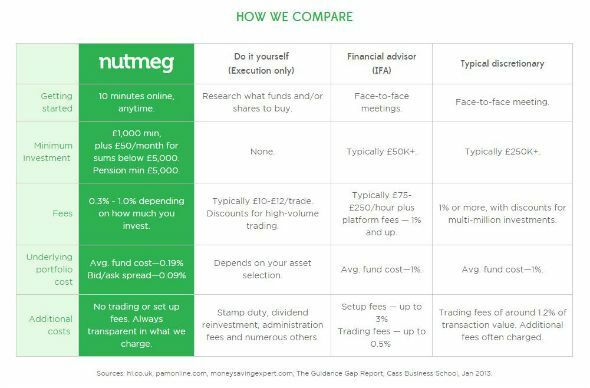 If you want to compare Nutmeg with other robo-advisors in the UK, feel free to have a look at my page!